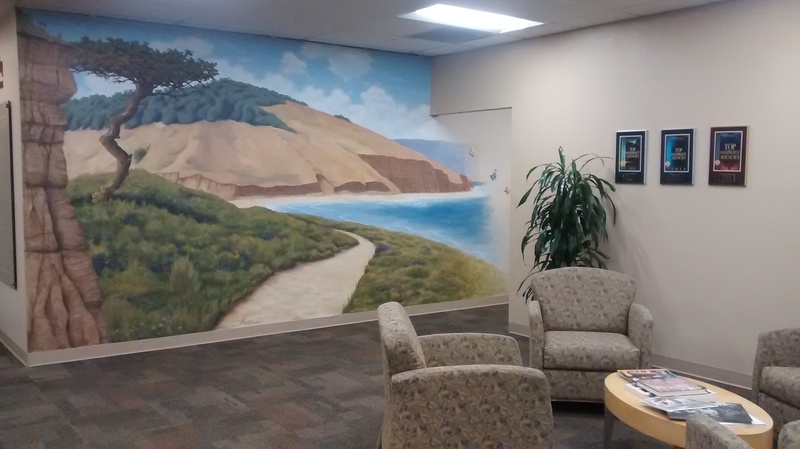 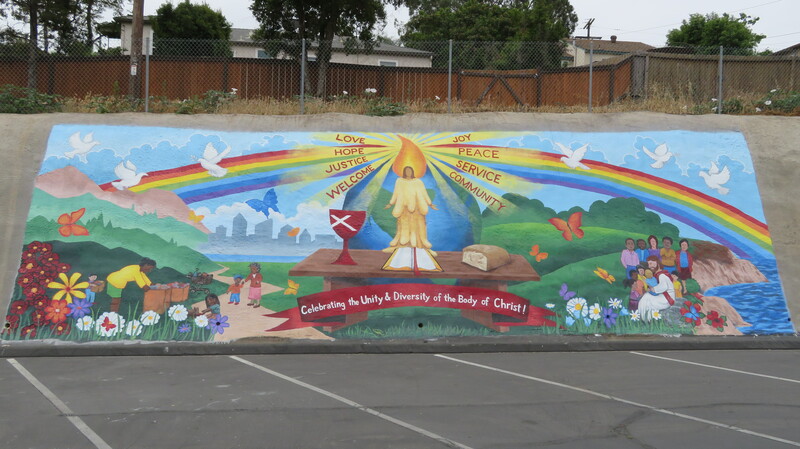 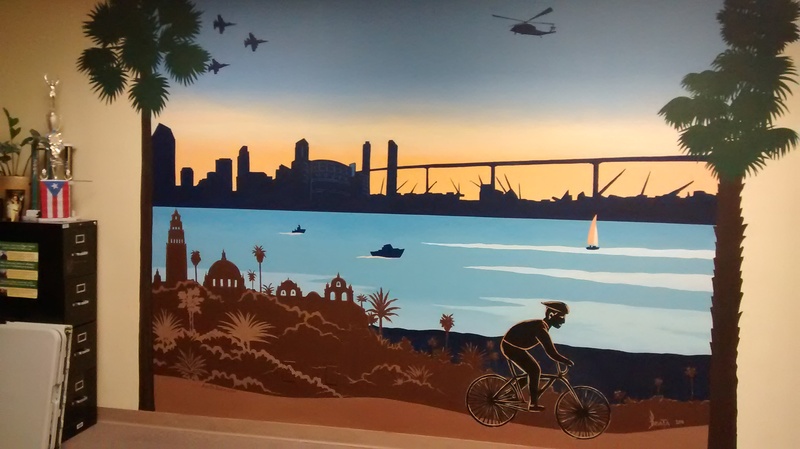 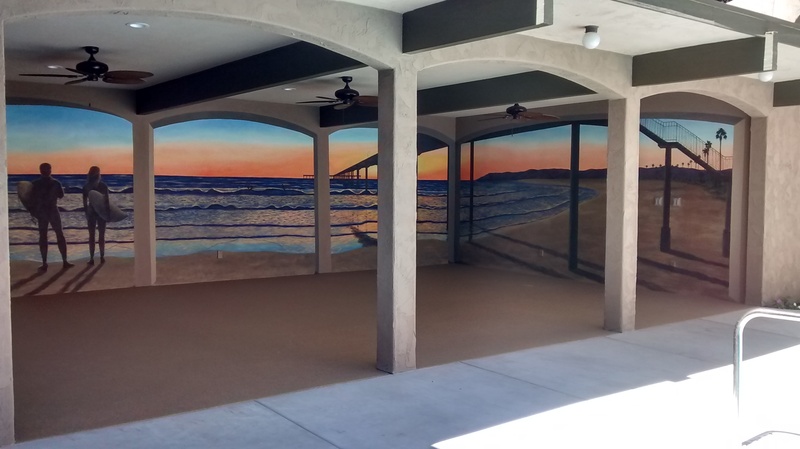 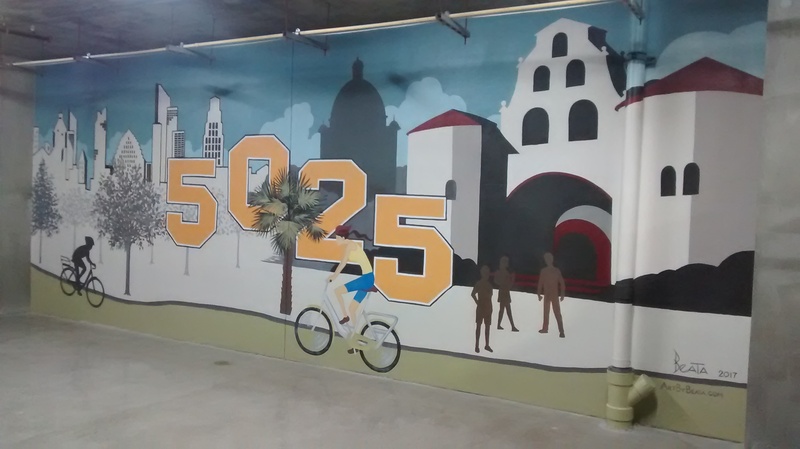 A skyline mural of San Diego inside an office, restaurant, bar or apartment complex is a great way to show loyalty to the city or to bring downtown into your home. 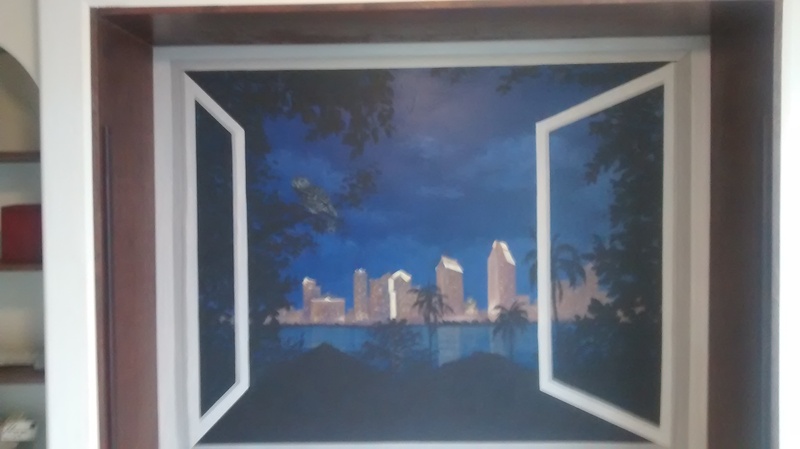 A trompe l’oeil featuring San Diego by night. 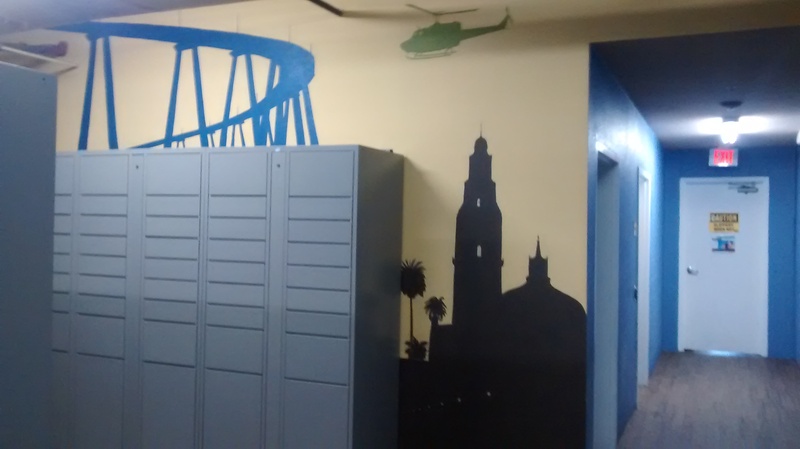 Iconic images of San Diego fill this student housing public area. 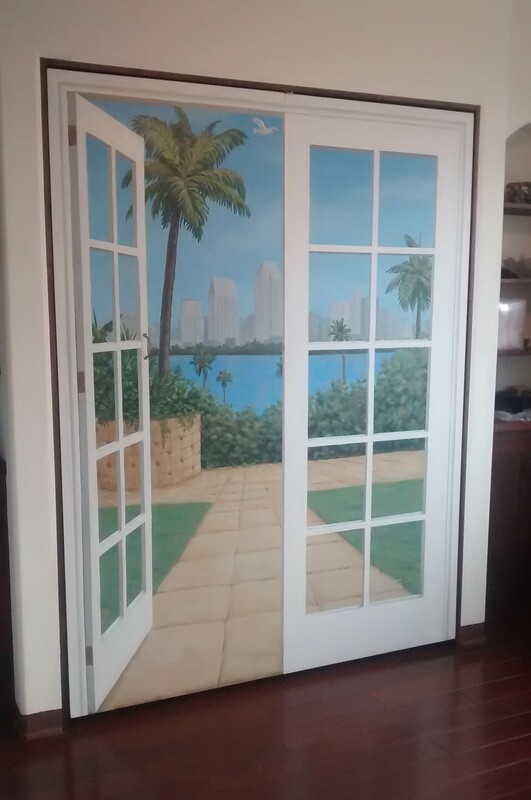 By day, the underside of this murphy bed looks like a doorway looking out over San Diego. 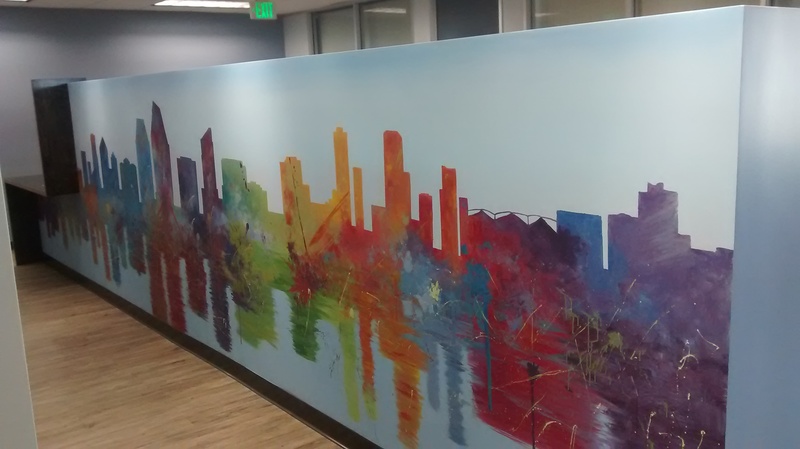 This law office wanted a lively and abstract version of the San Diego skyline stretched out across 20′ of this dividing wall.